On April 25, 2017, the California State Auditor’s office released a shocking report on the budgetary practices of the University of California Office of the President. It showed that UCOP and the Board of Regents have been residing in an ivory tower miles away from the realities facing UC students and workers, enjoying exorbitant salaries, perks and vacations among other benefits. Additionally, the state audit revealed that UC President Janet Napolitano has been hiding money — $175 million — and keeping students and workers away from the decision table, even interfering with the university’s own performance review. The findings are disheartening and wildly disappointing for all Californians. 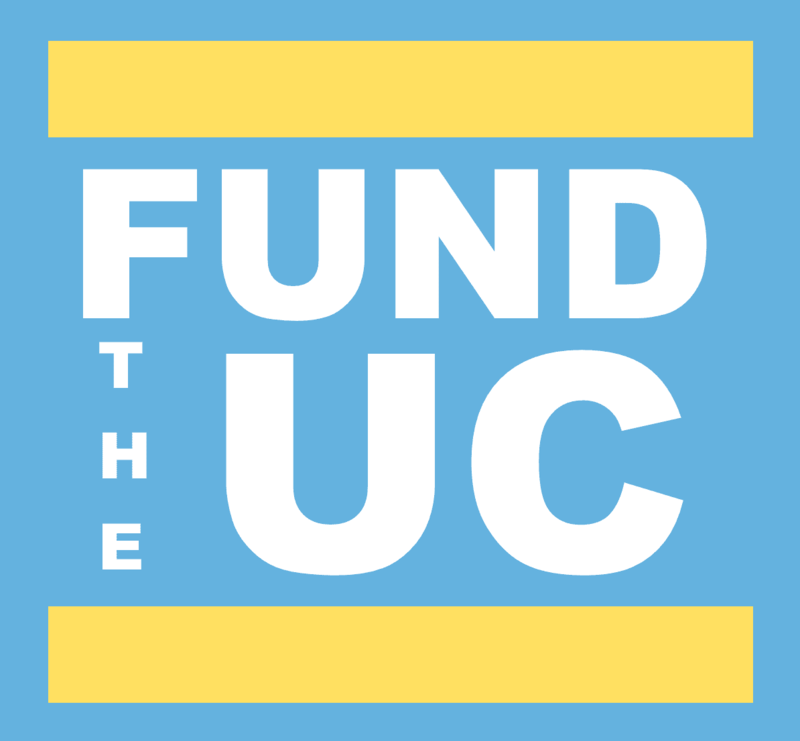 UC service workers are currently being denied much-needed pay raises and benefits at the bargaining table. As cost of attendance at UC campuses increases with tuition hikes, financial aid is being stretched thinner and thinner. Students are graduating with more debt than ever and facing food and housing insecurity at alarmingly rising rates. Four out of every 10 students have experienced food insecurity, and a third of them reported it negatively impacted their studies. Students and workers of color have been continually ignored and/or dismissed under the guise of budget constraints. The gap between graduation rates of students of color and white students is a staggering 14–15 percent. All the while, UC administration tells students there is not enough money for us, justifying hikes and pushing out members of our most vulnerable communities. They are telling workers there is no money, so they propose no wage increases at the bargaining table for the people who run the university. Now, it has become clear that the actions decreasing accessibility to the UC system were not a result of lack of funds, but rather a preference of our administrators to take the easy way out and ignore student voices and needs. For such a large “public” university system, it is absolutely appalling that students are prevented from knowing and participating on the decision of where UC money goes to. The bubble that UCOP and the Board of Regents have been living in has traveled so far away from their constituents that they have reached a tipping point with students, workers, California residents, campus administrations and our legislative representatives in Sacramento. In the following months grappling over the audit, its findings, the budget and UC oversight will dominate California legislature’s discussion of public higher education. It’s important that these conversations include student voices by way of public forums, easily accessible office hours and student government inclusion in high-level meetings. In a display of politics and ignorance just like the Board of Regents and UCOP’s, student voices have been continually ignored by the State. The state has been neglecting its higher education institutions by only investing an average of $8,667 on each student in contrast to about $50,000 on each prison inmate, begging the question: Where are the State’s priorities? As University of California students, we are a huge part of California’s future — economically, socially and politically. Regents and UCOP need to know just who they are ignoring: We cannot allow our voices to be silenced. We demand that our administrators and legislators keep in mind the needs of their constituents: UC students, workers, their families and all of California. The last thing we need is for the UC system to release flowery principles falsely claiming to support our communities. It is time to institutionally invest in our success. Students should have a voice in the budget. These funds dominate how we make decisions: where and what to study and how to pay for it to how many people we live with, what we eat and how we get around. We need a tuition freeze until our administrators can be held accountable.